Dr Lak has recently been awarded a Wellcome Trust Henry Dale Fellowship to start his research group studying the circuit mechanisms of learning and decision making. Armin Lak will be starting his research group here at DPAG in July 2019. He will be studying neuronal circuit mechanisms that underlie learning and decision making. Employing state-of-the-art circuit tools, his research could shed light on why and how the brain starts to dysfunction in psychiatric disorders. After finishing his undergraduate in Biology in Trieste, Italy, Armin completed his PhD in Neuroscience in Cambridge University. Supported by a Sir Henry Wellcome postdoctoral fellowship, he performed his postdoctoral work at UCL and The Cold Spring Harbor Laboratory in New York. 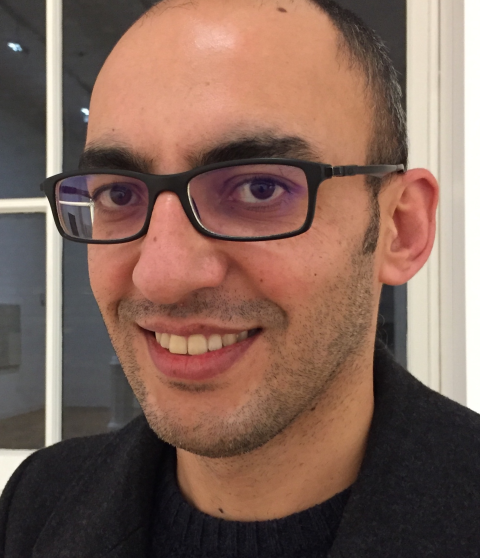 Last year, he was awarded his Wellcome Trust Henry Dale Fellowship to fund his research at DPAG. "Decision making concerns every aspect of our lives. Despite advances in identifying brain regions that participate in learning and decision making, a circuit-level account of choice behaviour is yet to be established. Our research team aims to achieve a quantitative circuit-level understanding of learning and decision making. The Sir Henry Dale award will allow us to combine cutting-edge technologies with behavioural and computational tools to investigate the neuronal circuits that regulate learning and decision making. Such an understanding will ultimately enable us to understand the biological building blocks of intelligent behaviour, and could provide basic insights into the pathophysiology of diseases that compromise cognition." - Dr Armin Lak. Read more about his work on the Wellcome Trust website and his lab website. The Lak Lab is currently hiring, and more information can be found here. We look forward to welcoming Armin to the Department.